Thank you to all of the families who have sent in donations to the science lab! The next time you are at Kincaid take a walk through our new garden. The first graders helped plant our first seeds this month. We already have some radishes sprouting. I will continue to have students assist in planting and maintaining the garden this spring. 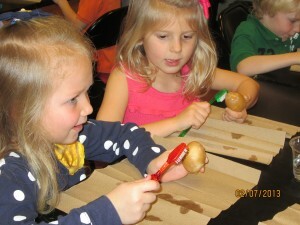 The kindergarteners completed a lesson in the science lab on “The 5 Senses”. We tried to identify objects by just their sound, smell or feel. Then we used our 5 senses to describe an OREO cookie. YUM! 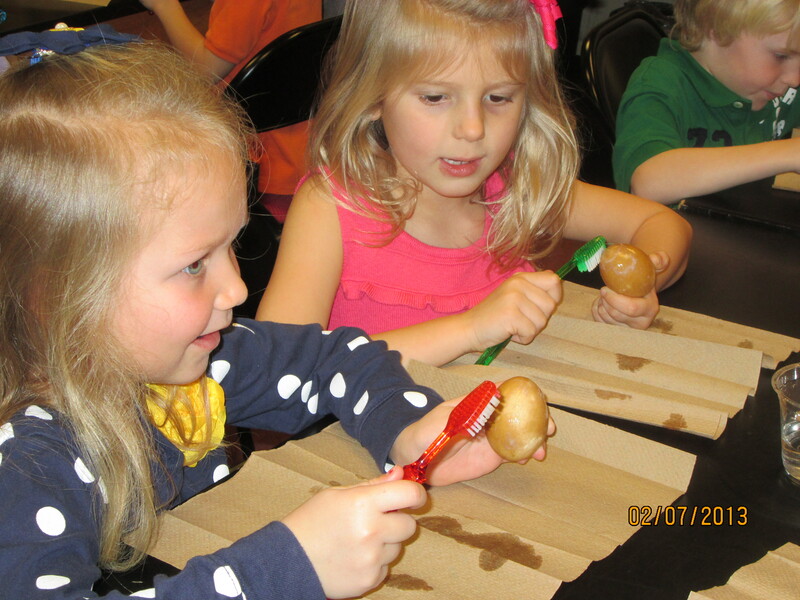 They also learned how to keep their teeth healthy by brushing “Dinosaur teeth” in February. The next lesson for kindergarteners will be on Rocks. They will be looking at a collection of interesting and unique rocks, sorting rocks by different characteristics, and “panning” for their own collection of rocks. First grade is learning about what plants and animals need to survive. 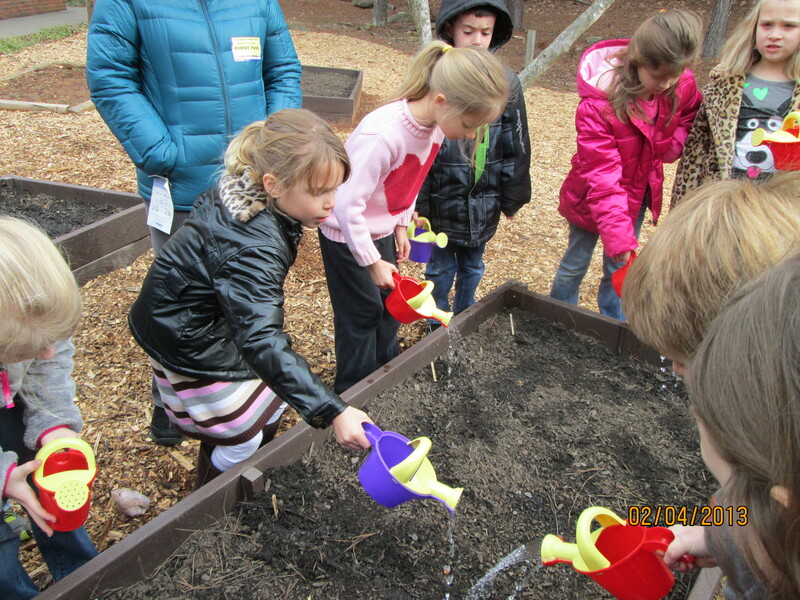 The first graders helped to plant our first crop in the new Kincaid Garden. 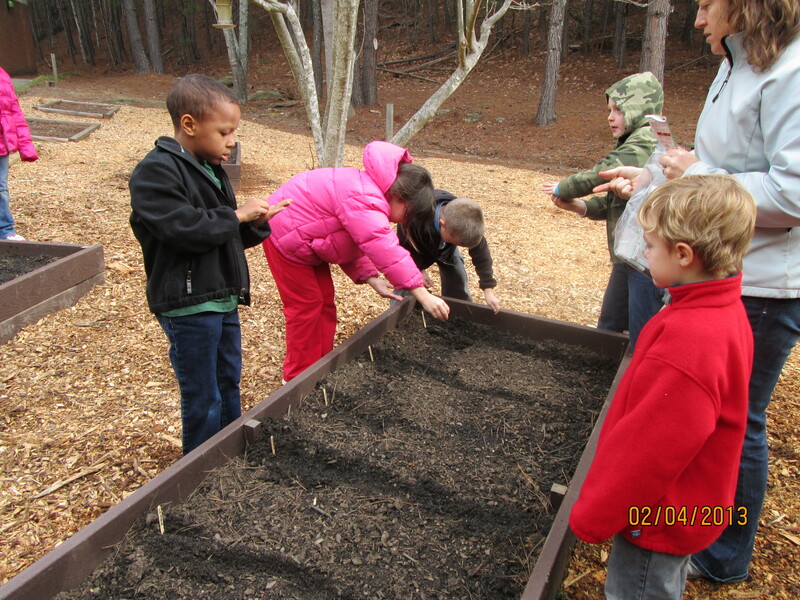 They planted radishes, carrots, broccoli, spinach and lettuce. Can’t wait to see what we harvest in May! Next they will have a lesson on the different parts of the plant and learn that we eat roots, stems, leaves, flowers and seeds. Second grade used Oreo cookies to model the phases of the moon. What a delicious way to learn! Next the third graders will be learning about stars and constellations. Third grade has been learning all about the habitats of Georgia. Kincaid is so lucky to have our own nature trail. We took some walks on our nature trail to identify habitats of animals common to the Piedmont region. 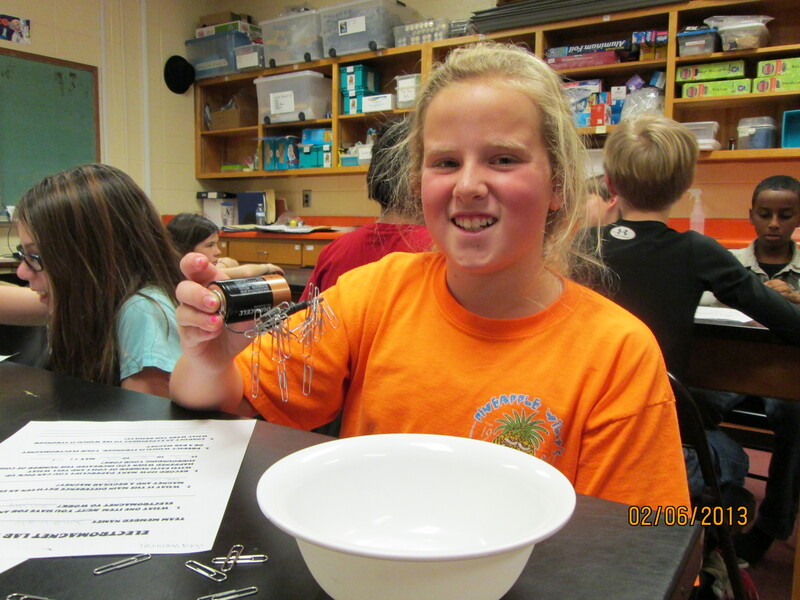 In our next two units we will be exploring heat energy and magnets in the lab! Third graders will experiment to see how heat moves through different states of matter. We will learn about repulsion and attraction, explore magnetic fields and making temporary magnets. Last month Fourth grade explored the night sky! They began by learning about stars and constellations. Students made their own pinhole constellation viewers. 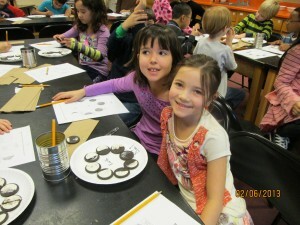 They also learned about the phases of the moon. Next, we will discover the reason for the seasons (revolution and the axis) and what makes day & night (rotation). Fifth graders had an electrifying experience in science last month. 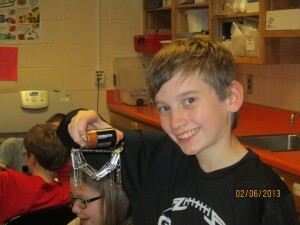 They learned about circuits and electromagnets. We learned the difference between a series and parallel circuit and made electromagnets. They tested their electromagnets to see how strong they were. Now the fifth graders are using our microscopes to look at cells. They made slides of onion skin cells and human cheek cells to see some of the differences between plant and animal cells.